Get a full German bank account and receive your salary on it, pay your rent or send and receive SEPA transactions. Whatever it might be, we make it easy by providing you with an exceptional online banking experience. 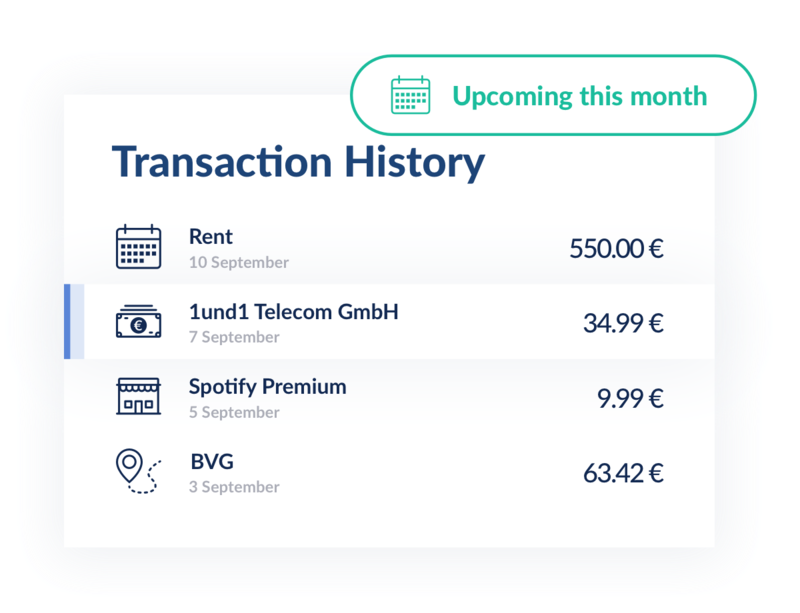 From utility bills to your music subscription, you will be able to easily set up automatic payments for service subscriptions that you regularly use from your bank account. Super straightforward, super convenient. 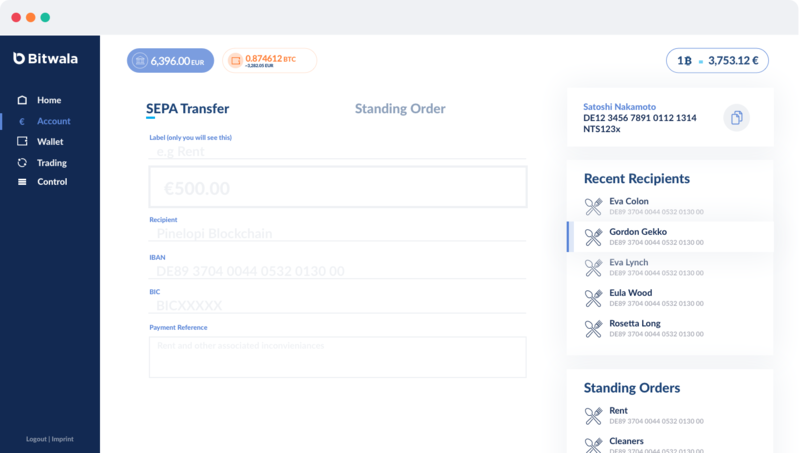 The Bitwala account includes a bitcoin wallet. 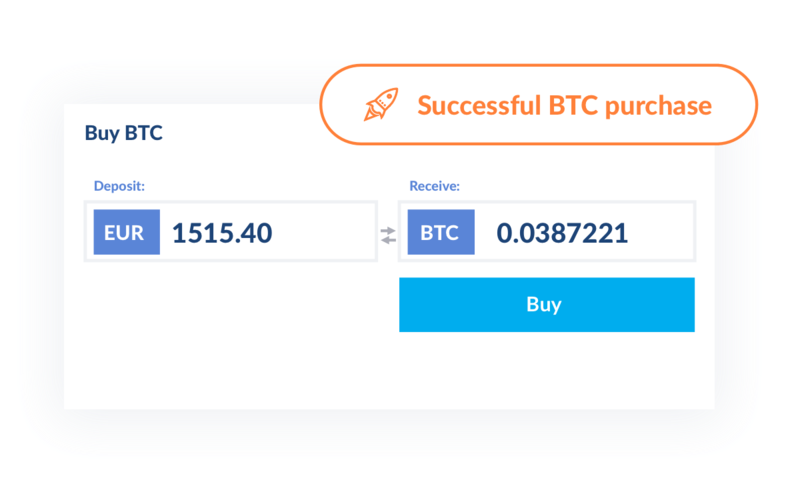 Buy and sell cryptocurrencies for a 1% fee from your account and store them securely in one place. Best of both worlds, all in one account. From Berlin to the world, we have built our product from the ground up with security and quality in mind. All Euro fund deposits on your account up to €100,000 are protected by the German Deposit Guarantee Scheme (DGS). 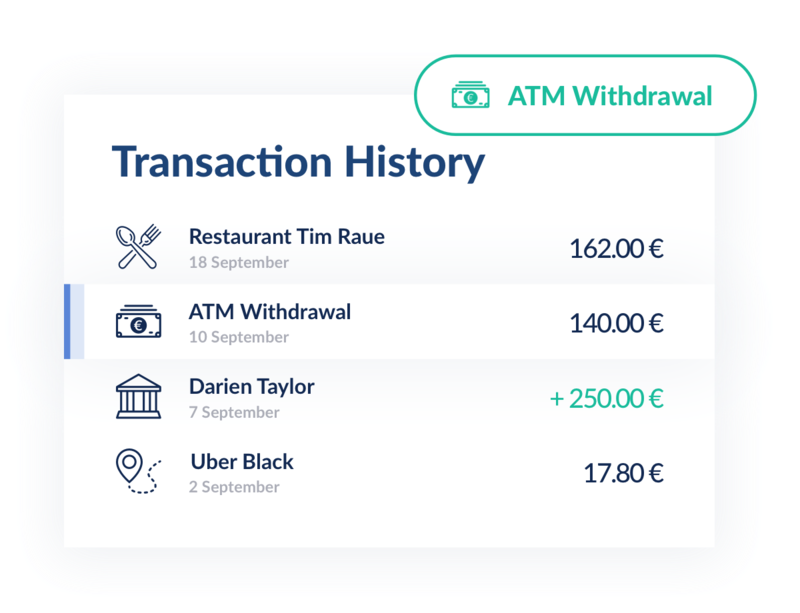 Your bank account is held under our trusted bank partner solarisBank, which is regulated by the BaFin and the European Central Bank (ECB), and holds a full German banking license. 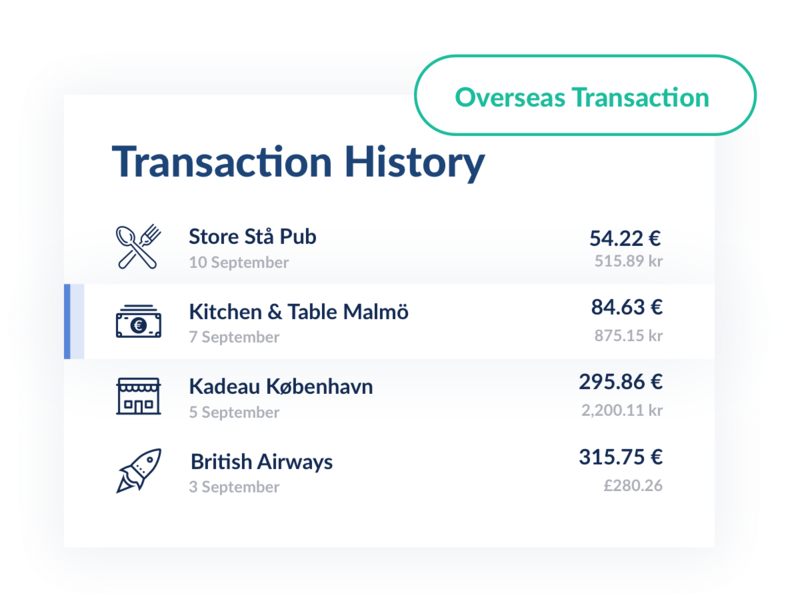 Bitwala works anywhere around the world. Use your card to spend in store, online or to withdraw money at millions of ATMs globally. The best part is you can convert your cryptocurrencies and live off your coins wherever you are. 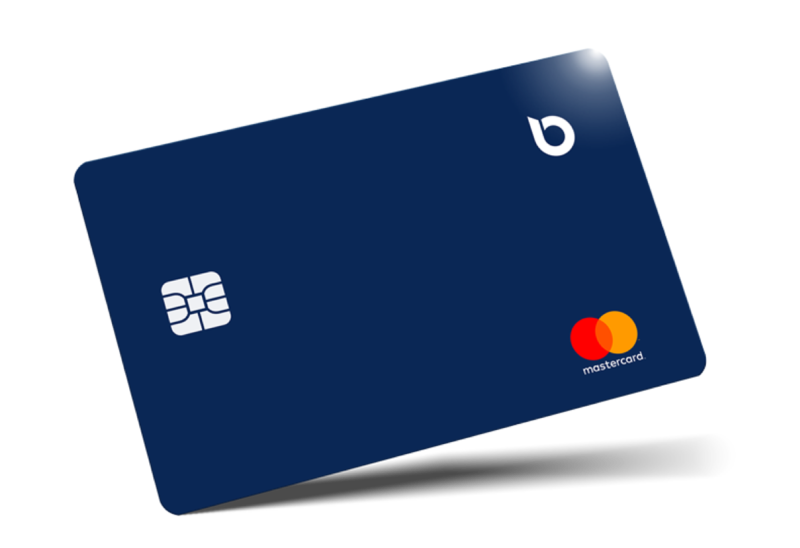 The Bitwala debit card is the perfect companion to your bank account. Designed with style and your privacy in mind, it is both secure and a joy to use every day.